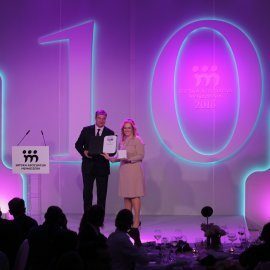 At the ceremony of annual awards of the Serbian Association of Managers (SAM) our company received, among very strong competition, the prestigious Best Employer Award in the category of large companies. According to the members of SAM, the Gorenje Group in 2016 enabled the best conditions for the operation and development of employees in Serbia. On this occasion Stanka Pejanovic, managing director of Gorenje Belgrade, said: "In Gorenje, we are convinced that investment in knowledge and human resources development is the key for the success of the company. This enables employees to manage and develop the business in the future. Creating a culture of learning, innovation and continuous development is one of the postulates of most strategies, but only the consistency in their implementation is leading to the success of the company. In a company with complex production, in an industry with rapid technological progress, this is even more important." 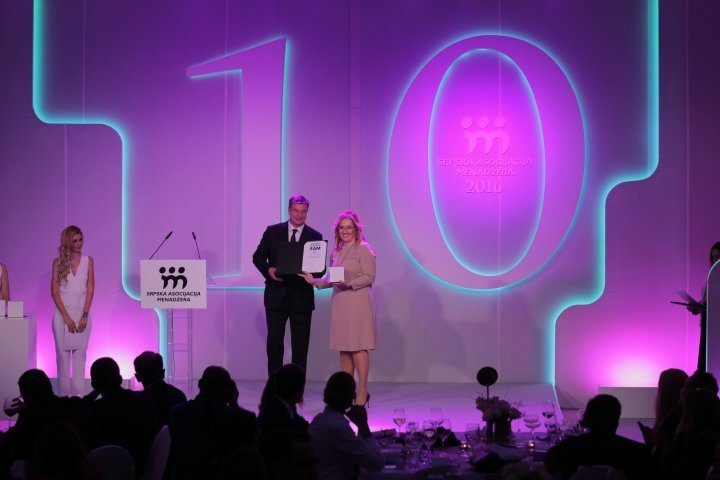 The importance of this award is even greater as it is a recognition of an association of managers with 400 members, leaders of successful companies and teams with totaly more than 90,000 employees, with an annual business turnover of 12 billion euros.